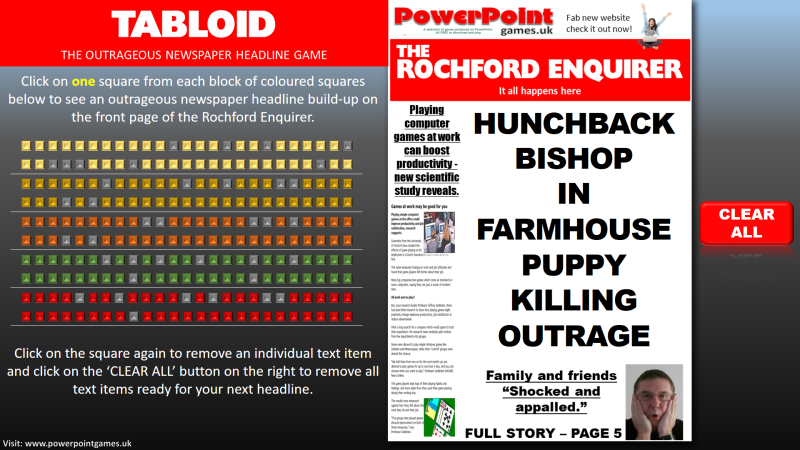 A game that started life as a board game, then evolved into an Android app, now incarnated again as a PowerPoint Game. 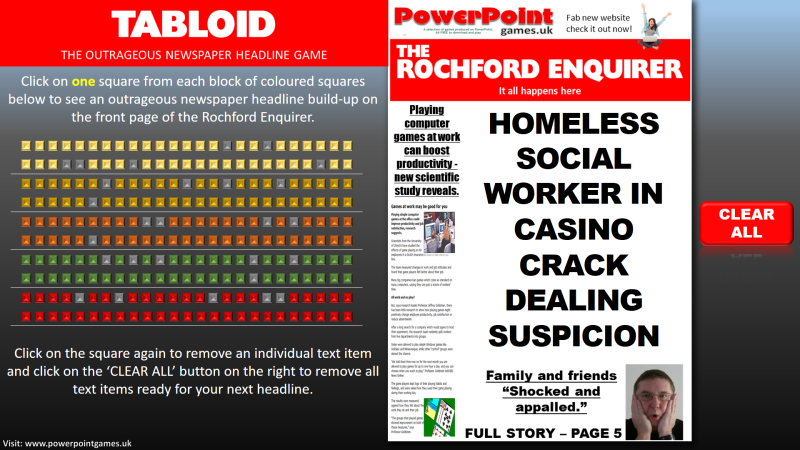 Just click on a square from each block of colours to see an outrageous headline develop. According to my calculations, there are 312.5 million potential headlines to be made.